Just over 30 years after Badja was first used for an orienteering event, Jon Glanville and his fellow Parawanga club members staged an event worthy of being the Back to Badja: Anniversary event. 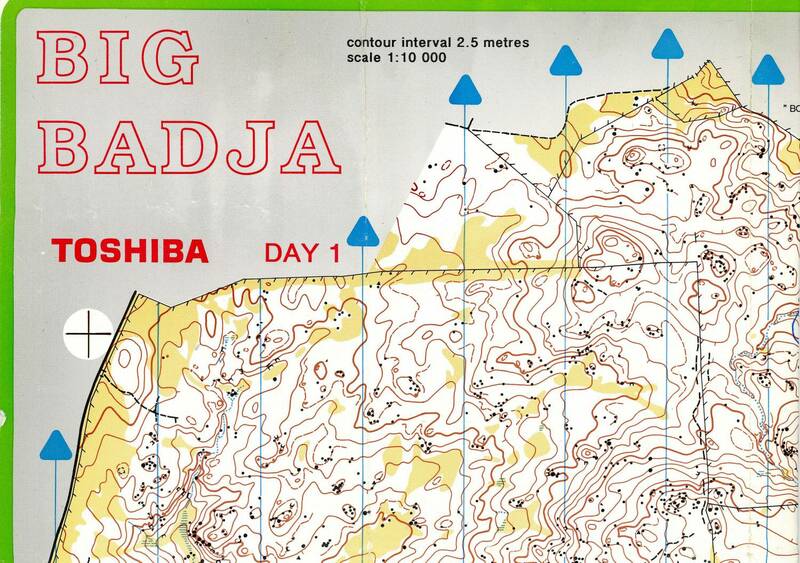 The first use was the 1989 Australian 3-Days with Day 1 being on Saturday 25 March on the north-east portion of the original Big Badja map; see the full map (450 mm wide by 600 mm wide) on Facebook. The scanned map was issued to competitors for an EOD ACT League event on Sunday 21 March 1993 and was a bit of a handful. The first 10 images on Facebook related the 1989 AUS Days. The concept of the three days at Badja was a the brain child of a bunch of enthusiastic Red Roos, spearheaded by an ambitious Trevor Hughes who was the mapping coordinator. Bob Allison was the controller, Andy Calder was the overall Organiser, and Marjorie and Ross Gilby formed the Event Secretariat. The overall results are the third photo on Facebook. The next Classic event will be the ACT Teams event on Sunday 12 May. It will not be an ACT League event. Entries close on 3 May. The information flyer is here and the link to enter both events is here.